“The sanctions are hurting everyone, but it was not us who started this wave." 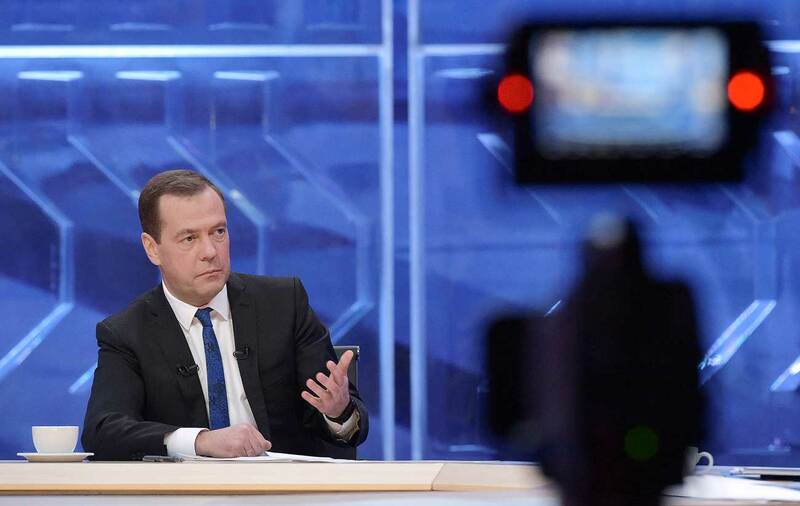 On Dec. 15, Russian Prime Minister Dmitry Medvedev met with several of Russia’s main TV channels (Channel One, NTV, Rossiya, RBK and Dozhd TV) for a traditional end-of-year interview. We have selected key quotes from the conversation, which included discussion of defense spending, the McLaren report and the doping scandal, and the arrest of Economics Minister Alexei Ulyukayev. “Why is it only now that the  World Bobsleigh Championship has suddenly been moved [from the Russian winter resort of Sochi]? They are in their right to do so, but why now, exactly? They say the atmosphere has changed? Nonsense, what about the atmosphere? Read more: Will Washington lift sanctions against Russia in 2017?